Impress me by intensity, not volume. Let’s define intensity. Intensity is defined as power: force multiplied by distance, then divided by time. Simply put: Intensity is doing more work faster. Let’s define volume, volume means how much work you do. For example one workout, or two, or three or maybe even four. That being said: More isn’t always better. Continue reading please and or sorry if I ruined your day. But it’s meant with a good hart. Volume is alluring for many reasons. 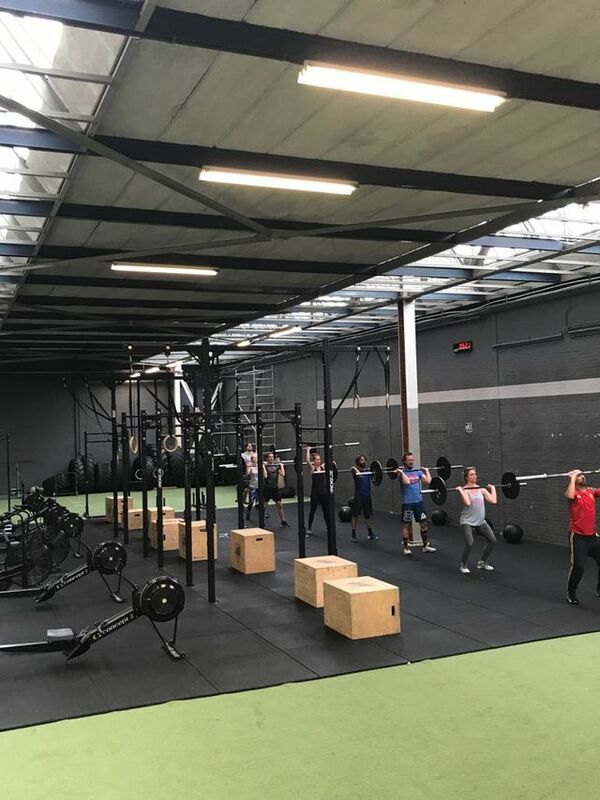 Some athletes who are trying to break into the upper echelons of competitions look to take on extra volume in order to try and close the gap, and affiliates sometimes (not us) attempt to squeeze more and more into the relatively brief CrossFit class in order to follow suit. But don’t mistake volume for intensity and end up training for 90 minutes at 60 percent when 60 minutes at 90 percent might have been more valuable. Similarly, paying little attention to recovery is costly. It’s a fool’s errand to cram multiple workouts on top of each other in hopes of finding a shortcut to fitness. Some strong willed people just don’t know when enough is enough. If you require frequent scaling, extra workouts are not the solution. Similarly, if you struggle with mechanics, then once again volume isn’t the answer for you. Increased rehearsal of poor movement patterns and shoddy mechanics—more for more’s sake—is a loser’s gambit. You will just ingrain bad habits more frequently. The majority of you all are training for life, and for you the occasional two-a-day might be fun, but training once a day four to five times a week will be enough. You won’t ever need more to obtain a lifetime of fitness. This is one of the most elegant mechanisms of CrossFit. Even you athletes chasing better scores in different competitions will find effective preparation in a single session a day and focused skill work. Athletes looking to take on more volume need to show up prepared, and this group is likely limited to competitors who rarely need to scale, can post competitive times on all workouts, and have no issues making mechanics and consistency corrections. Understand that all of you will continue to improve with a single CrossFit workout per day. Volume isn’t necessary if the goal is simply getting fitter. In fact, it can be counterproductive or, worse, harmful when misapplied. This can’t be said enough. Over the long term, every athlete would continue to improve work capacity across broad time and modal domains with a single daily dose of constantly varied functional movements executed at high intensity. BAM!!!! Any aspect of fitness that we neglect to train with intensity will suffer, and extra volume simply cannot replace variance when training for general physical preparedness (GPP). That said, it can be very difficult to preserve variance and intensity with additional volume; doing so requires careful planning and preparation. It will be much harder mentally and physically to maintain intensity as volume increases, and it is therefore very difficult to produce results and hit personal records. Extra volume also requires extra rest. Too much volume without ample recovery results in over-reaching or overtraining, which can push athletes back rather than drive them ahead. Courtesy of CrossFit HQ journal.